The presidential election in Guinea held in a rather tensed atmosphere amid threats of boycott by the mainstream opposition leaders. But the citizens of the country of about 12 million people eventually had to settle for a largely peaceful election. Rich in Bauxite and Iron ore, Guinea is a strategic nation in the West African region having geographical boundaries with as much as six countries-Mali, Cote d’Ivoire, Liberia, Sierra Leone, Guinea Bissau and Senegal. 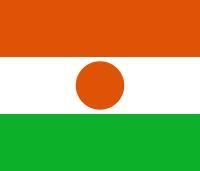 It is also a major player in the Mano River Union. ECOWAS was understandably the spearhead of international efforts geared at ensuring that the 2015 presidential election in Guinea is transparent and credible. 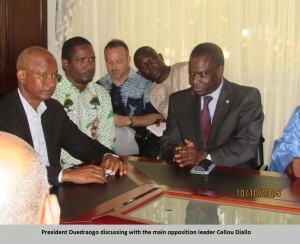 Guinea operates a multi-party democratic system. The country’s electoral umpire, the Commission Electorale Nationale Independante (CENI) is guided by the Constitution which provides that the president can only be elected twice as a maximum for a period of five years in a term. 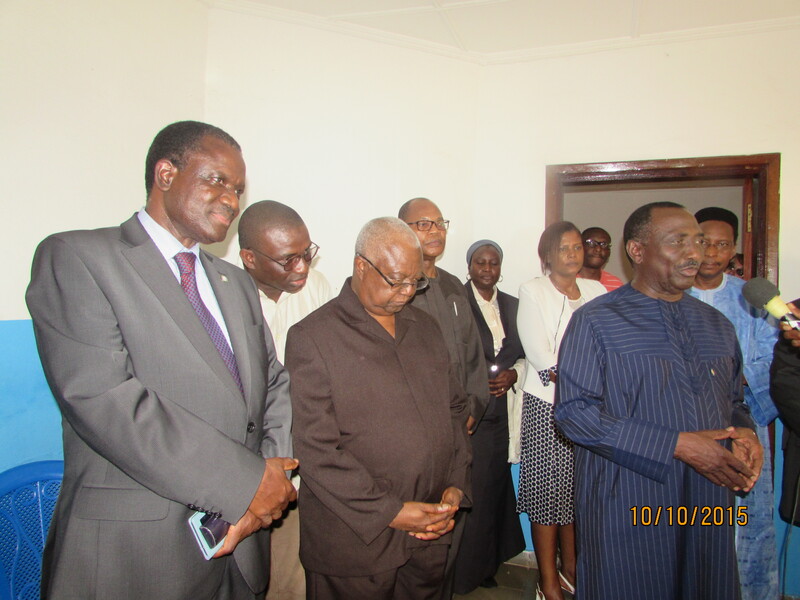 The total number of registered voters for the poll was 6, 042, 647 (including would be diaspora voters). 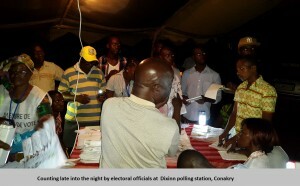 Voting time was between 7 am to 6 pm but there were extensions in some polling stations. Voting took place in about 14,426 polling units across the country by only Guinean citizens who are 18 years and above, whose names appear on the voters register and who must possess an electoral card. Candidates have eight days to file complaints with the constitutional court before results are certified. 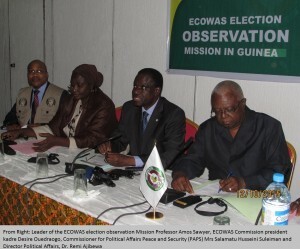 ECOWAS deployed a 67-man election observation Mission to Guinea. 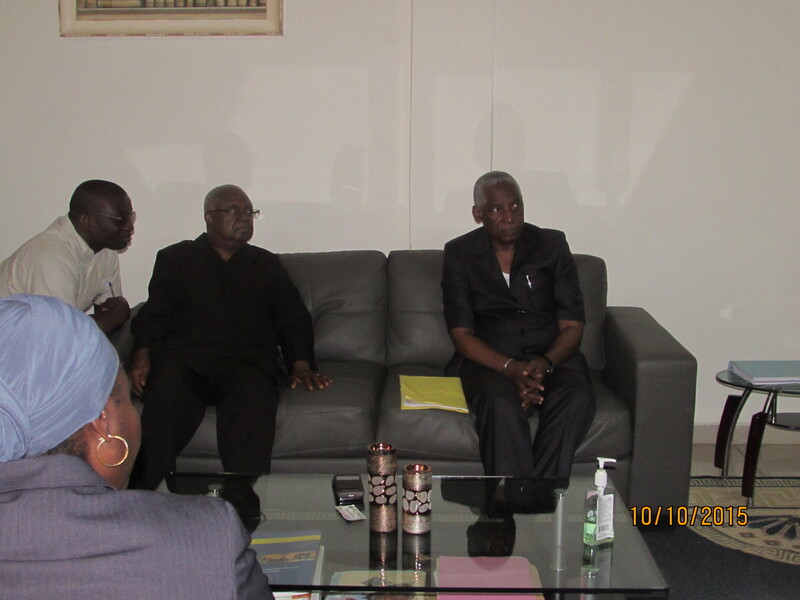 The delegation was made up of two teams of long term (12) and short term (55) observers. 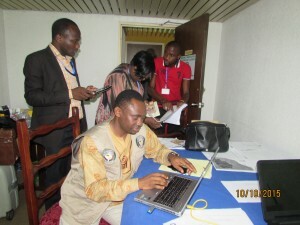 They were deployed to the core electoral zones making up Guinea’s four regions- Guinea Maritime (Conakry-Kindia-Boke), Moyenne Guinea (Labe-Mamou-Dalaba), Haute Guinea (Kankan-Faranah-Kissidougou) and Guinea Forestiere (Nzerekore-Guekedou-Beyla). The ECOWAS Long Term Observers Mission (LTEOM) backed by a technical that is led by the Good Governance Division of the Department of Political Affairs Peace and Security (PAPS). Operating from its situation room, the LTEOM team comprises political legal specialist, media specialist, conflict prevention specialist, among others. 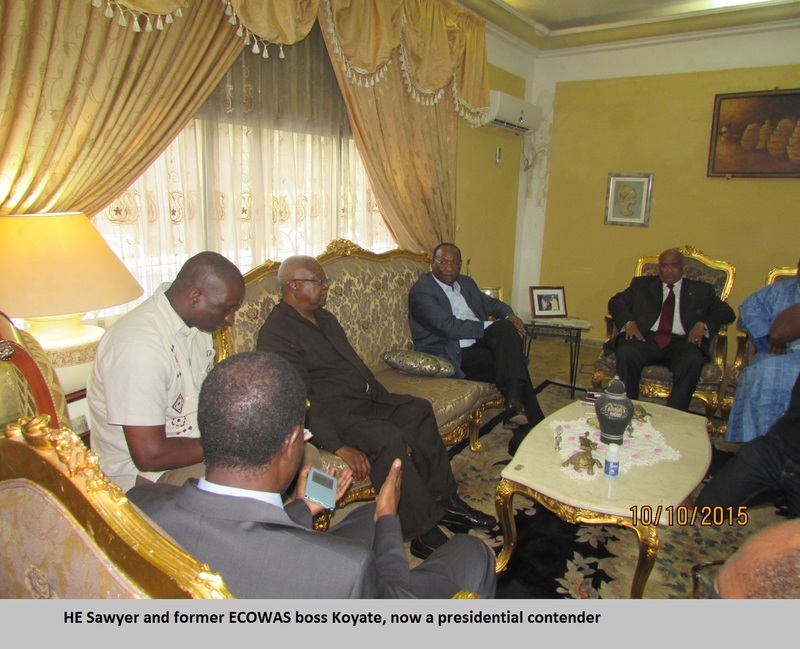 After the die had been cast, the ECOWAS Mission maintained that it believes the Guinean election is decisive not only for the consolidation of democratic governance in Guinea, but also for reconciliation and national unity. Giving its preliminary declaration in Conakry, the leader of delegation former Liberian president Amos Sawyer called on all Guinean citizens to look at the positive side of the elections, be calm and refrain from all acts of violence, intimidation or provocation in order to consolidate peace and democracy in the best interest of the nation. The Mission regretted the incidents that led to some casualties and bad blood but urged the candidates to refrain from announcing any interim results while any aggrieved party was prevailed upon to resort exclusively to legal channels in settling electoral disputes. 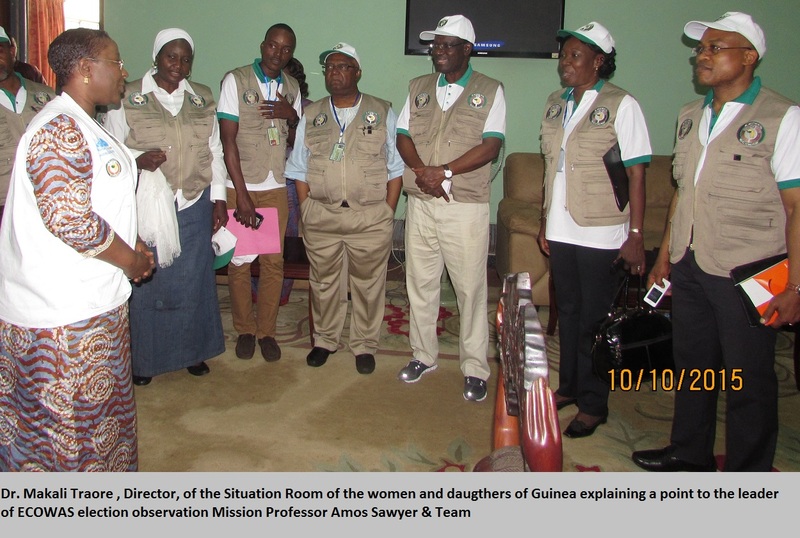 For the post-election phase monitoring, ECOWAS kept its Long Term Observers in the four regions of Guinea to keep a close watch. 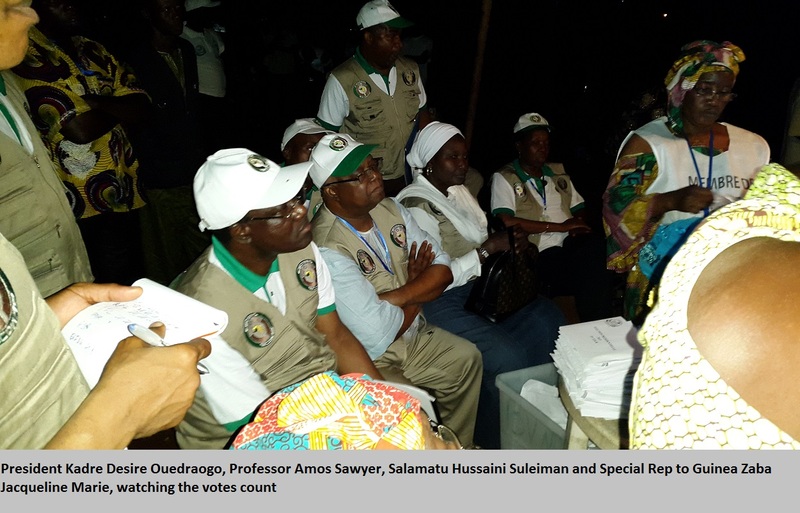 They observed votes cast next steps that included handling of results sheets and reports, collation and tabulation of votes as well as the general atmosphere. In some parts of the country outside the jubilation and resentments, there were heated discussions and even threats but no serious socially disruptive incidents were reported. Initially, opposition party leaders stated that they were not recognizing the final results citing ballot box stuffing, voting by minors, electoral map changing, vote-intimidation, among others. Generally, representatives of political parties showed some degree of maturity after the results were declared bearing in mind the tensed atmosphere before and during the election. The total number of Polling Stations was 14, 482 while the number of supported polling stations stood at 14, 222 representing 98.20 percent of the rand total. 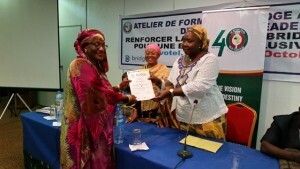 The total number of registered voters was 6, 042,634 of which the total number that voted were 4,131,046. There were 179,804 invalid votes amounting to 4.35 percent of the registered voters. After voting, the total number of valid votes cast were 3,951,222 representing 68.36 percent of registered voters.